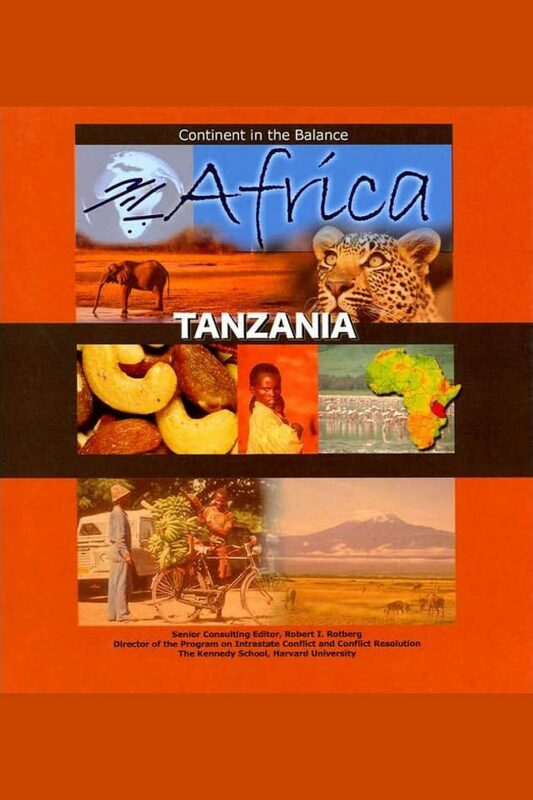 The United Republic of Tanzania was created in the 1960s by the merger of two independent countries: Tanganyika, a territory on mainland East Africa, and the Zanzibar islands in the Indian Ocean. Tanzania has been a stable and relatively peaceful democracy, although in recent years religious clashes have been the source of disputes over election results. Although Tanzania has many natural resources, including the rare gemstone tanzanite, it is one of the poorest countries in the world. This is due in part to a huge public debt the government incurred over the previous three decades. The AIDS epidemic has also weakened the economy by taking growing numbers of people out of the workforce. Since 2000, Tanzania’s government has taken positive steps toward lessening poverty, reducing debt, growing the economy, and attempting to slow the spread of AIDS. Gr 7-10-Aside from the introductions, which are essentially identical in each volume, the information in these books is well organized and presented in a clear, logical manner. Following a map and a country flag, each nation’s geography, political situation, economy, people, and history are discussed. Recipes, a glossary, ideas for projects and reports, and an extensive chronology are appended. The bright, attractive photographs are well matched to the texts and show the diversity of modern African nations from the rural areas to the cities. Students doing research would do well to start with one of these concise titles.-Genevieve Gallagher, Murray Elementary School, Charlottesville, VA Copyright 2005 Reed Business Information.